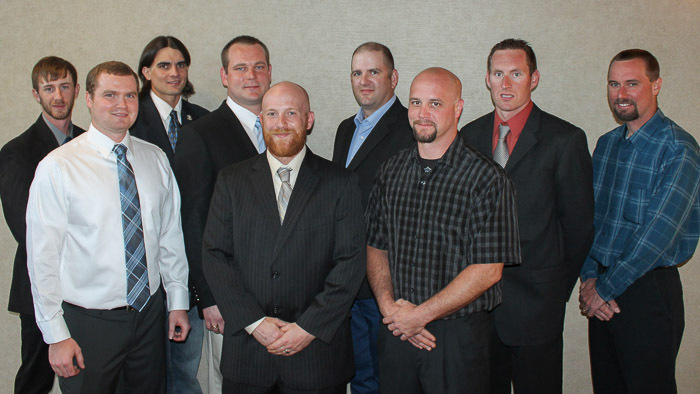 GREAT LAKES CONTESTANTS: Trey Bodensteiner, Local 647 (Minneapolis); Tim Howe-Area Winner, Local 85 (Toledo, Ohio); Anthony Manriquez, Local 107 (Milwaukee); Ryan Monter, Local 744 (Cleveland, Ohio); Adam Mueller, Local 1 (Chicago); Christopher Opalewski-Area Runner-up, Local 169 (Detroit); Daniel Parr, Local 27 (St. Louis); Martin Smith Jr., Local 363 (East St. Louis, Ill.); and Benjamin Young, Local 374 (Hammond, Ind.). 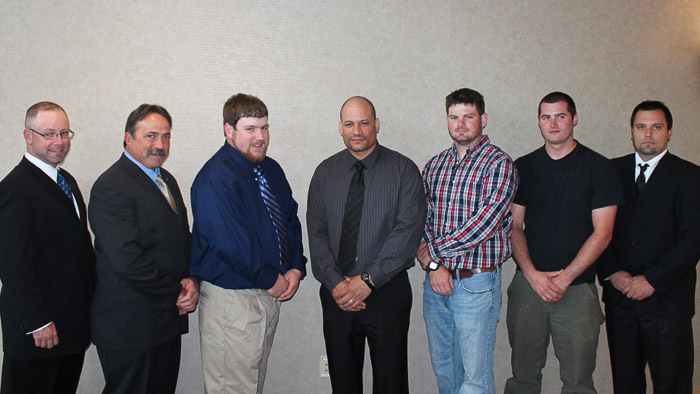 NORTHEAST CONTESTANTS: Corin Butler, Local 29 (Boston); Michael Cefaratti, Local 28 (Newark, N.J.); Cody Conner, Alternate Runner-up, Local 154 (Pittsburgh); Mark Felschow, Area Winner, Local 7 (Buffalo, N.Y.); Gabriel Gladney, Local 5, Zone 197 (Albany, N.Y.); Walter Reese, Area Runner-up, Local 13 (Philadelphia); and Kevin Rooney, Local 237 (East Hartford, Conn.). 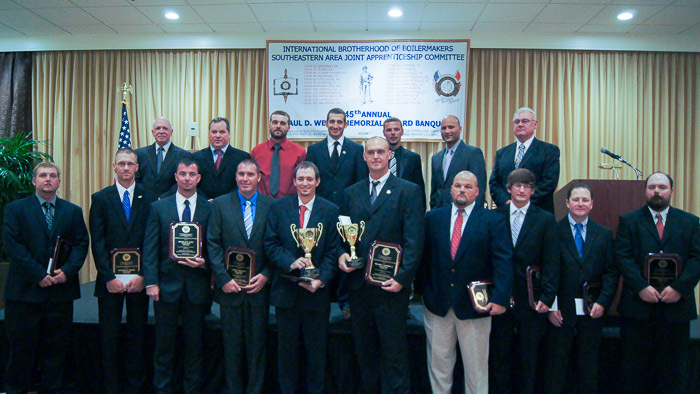 SOUTHEAST CONTESTANTS: Jason Barton, L-108 (Birmingham, Ala.); Aaron Berndt, Local 454 (Chattanooga, Tenn.); William Campbell II, Area Runner-up, Local 433 (Tampa, Fla.); Joshua Carter, Area Winner, Local 69 (Little Rock, Ark. ); Nicholas D. Cash, L-83 (Kansas City, Mo. ); Ethan Edmondson, L-263 (Memphis, Tenn.); Herman Gibbs, Local 26 (Savannah, Ga.); Raymond Graves, Local 40 (Elizabethtown, Ky.); Raymond Henry III, Local 132 (Galveston, Texas); James T. McHenry, L-105 (Piketon, Ohio); Christopher McGlumphy, Local 667 (Winfield, W.Va.); Charles Rowe III, Local 193 (Baltimore, Md. ); Mardie Smith, Local 455 (Muscle Shoals, Ala.); and Jeremiah Young, Local 45 (Richmond, Va.). WESTERN STATES CONTESTANTS: Morissa Addaki, Local 4 (Page, Ariz.); Scott Brester, Local 11 (East Helena, Mont. 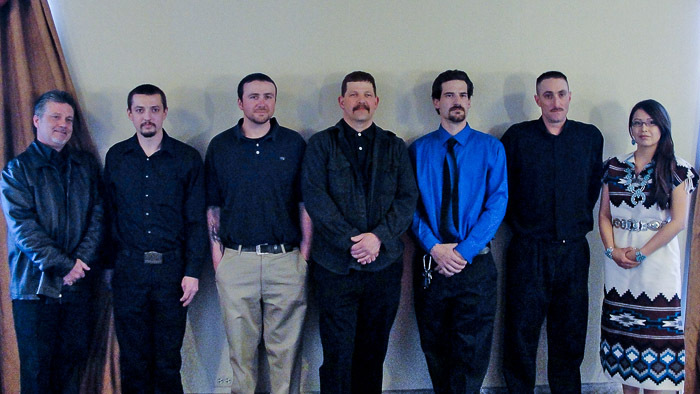 ); Tyler Evans, Area Runner-up, Local 502 (Puyallup, Wash.); Sean Hreha, Local 549 (Pittsburg, Calif.); Adam Lee, Area Winner, Local 242 (Spokane, Wash.); Thomas Thayer, Local 101 (Denver); and Joseph Tower, Local 627 (Phoenix).